Here's the script my speech in the second sitting of Selangor State Assembly, which starts from 18 Nov to 2 Dec 2013. Speech delivered on 21 Nov 2013 in Bahasa Malaysia. This is the English translation without the official address and 'Dewan language'. I could only touch on the surface for each topic as the time for debate is limited. I'll update more details (theoretical or empirical) when the State Assembly ends. 1. When there is transfer of wealth between different segments of the society through state programs or subsidies, there should always be a net effect of wealth transfer from the top of the pyramid to the bottom of the pyramid. In another word, a progressive transfer. 2. For people not from the bottom of the pyramid, government should invest in budget items that generate good multiplier effect to the society. That is, if we invest RM1 to the project, it will generate more than RM1 of economic and social value. 3. Rakyat monies should not be wasted on the inefficiencies of GLC. Firstly, when there is transfer of wealth between different segments of the society through state programs or subsidies, from the top of the pyramid to the bottom of the pyramid. Although almost half of the revenue we collected is non-tax, I believe we should focus the state programs on targeted subsidy and progressive subsidy. Mahatma Gandhi once said “the greatness of a nation is measured by how it treats its weakest members”. How effective we as a government redistribute wealth to bottom of the pyramid will determine the greatness of Pakatan Rakyat government. In Selangor, we’ve been giving handouts and subsidies through Merakyatkan Ekonomi Selangor (MES) Program. From 2008 until 31 July 2013, we have spent at total of RM 954,747,691 in MES. We spent about 74% on free water and 11% on Skim Mesra Usia Emas (SMUE), 6% for Skim Mikrokredit Selangor (SKIMSEL), 4% Hadiah Masuk Universiti, 2% Pusat Tuisyen Rakyat and 1% for Mikrokredit Miskin Bandar (MIMBAR), Jom Shopping and TAWAS. Both biggest items in MES, free water and SMUE are non-targeted subsidies. Free water subsidy can be justified for water security of the people and considering the fact that it’s actually progressive subsidy as the poor benefit more than the rich as a percentage of their income. For SMUE, there’s a natural selection where the needy are more likely to apply. Nevertheless, I believe it will be unhealthy if we continue to run social programs on non-targeted subsidies, which will be less effective than targeted subsidies in achieving the goal of uplifting the bottom of the pyramid in the society with limited resources. With that, for future subsidies and social programs, I call upon the government to ensure proper requirements are fixed (for example, income) on selecting the beneficiaries to ensure that we transfer wealth to the segments of the society that most need it. For other segments of the society, we’ll generate more benefits to them through free market by investing in items that generate economic multiplier effects, which I shall discuss later. A group of the bottom of the pyramid that I would like to draw your attention to is urban poverty. If we use RM1,500 as the threshold for poverty, according to the answer I get from the state government in the last sitting, there’ll be about 1.5 million people in Selangor live in poverty, 87.6% that is about 1.3 million of which live urban area. This implies that we are facing with 1.3 million of urban poor. Poverty breeds crime. Experts found that crime rate is correlated with inequality and there have been over fifty studies showing tendencies for violence to be more common in societies where income differences are larger. Therefore, if we can reduce urban poverty, we’ll also be able to reduce crime that has been rampant in Klang Valley. Since the state government seems to have done our best in security such as patrolling enforcement, CCTV, allocation to community policing while waiting for the ever-delayed police reform from the federal government, we should focus now on the root of crime – poverty. There are many programs MES that can benefit the urban poor, such as MIMBAR, Free Water, Anak Masuk Universiti, Pusat Tuisyen Rakyat, Skim Mesra Usia Emas etc, however there’s not clear plan and direction in urban poverty elimination. Therefore, for the 1.3 million urban poor in Selangor and the safety of the people in the city, I call upon the government to draw a comprehensive and strategic plan that can systemically reduce urban poverty. I also hope that in the next budget or supplementary budget, the government will consider giving a specific allocation for urban poverty eradication. Lastly, I would like to give my feedback on the management of current social programs. They are different departments in SUK that handle different programs. They lack coordination with many overlapping functions and redundancy. Inefficiency and bulged operational spending are bound to happen if it continues. I would like to call upon the state government to coordinate all the MES programs and put them under one umbrella so we can improve coordination and efficiency as well as to minimize the operational cost of the state programs. As I’ve mentioned earlier, for rakyat who are not at the bottom of the pyramid, we’ll be able to generate more benefits through free market by investing in items that generate economic multiplier effects. This leads to my second point - government should invest in budget items that generate good multiplier effect to the society. 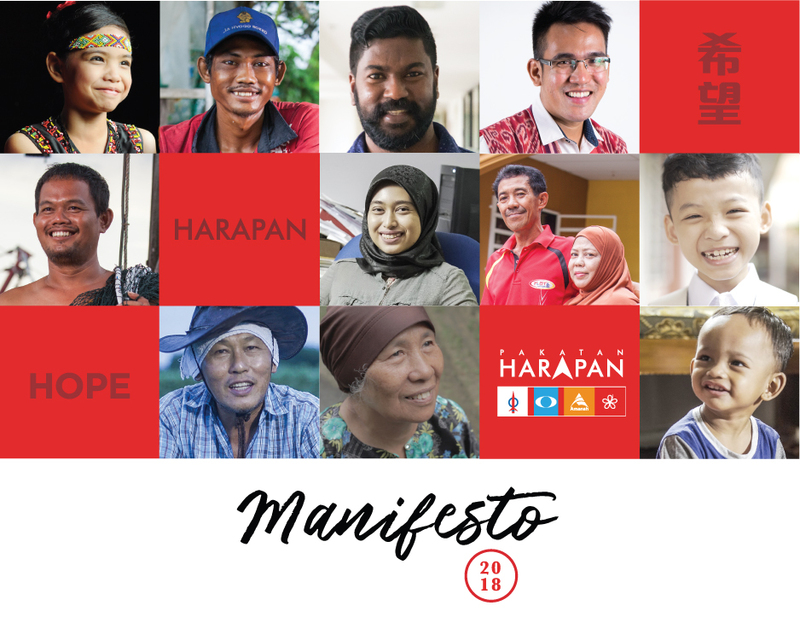 That is, if we invest RM1 to the project, it will generate more than RM1 of economic and social value.Today, I would like to draw your attention to two areas: public transport and women empowerment. On public transport, from a study of 13 public transport investments in Europe the regional economic effects of public transport investment costs were found to have a multiplier effect of 2 to 2.5. In the US, it is about 3.6. In Switzerland, a country renowned for its faith in public transport, the economy as a whole benefits from added value of EUR 4.60 for every EUR 1 spent on public transport. All in all, we can safely conclude that investing RM1 in public transport will generate more than RM1 worth economic and social benefit to the society. Klang Valley is full of economic potential and our job as a government is not only about maintaining the status quo of the cities. We need to provide environment to further facilitate economic growth in the cities to provide more job and businesses opportunities. Normally, public transport becomes a more common mode of transport as cities grow because it reduces traffic problems and support more efficient land use patterns. To quote Enrique Penalosa, “An advanced city is not a place where the poor move about in cars, rather it’s where even the rich use public transportation” However, this does not happen in Klang Valley. As our cities grow, we see that the use of public transport from 37% in 1990s dropped to 19% in 2012 compared to more than 60% in Singapore, Seoul, Tokyo, Hong Kong etc. This is largely due to years of neglect in public transport development by the Barisan Nasional government. Yes, billions of ringgit in our rail system but we are seeing sharp drop in public transport usage rate. This is largely due to lack of connectivity, unreliable service (timeliness), inconvenience and not comfortable. Many may think that we may not have enough money support buses, we do. For example, in Penang, by cooperating with bus companies, free feeder bus at peak hour cost the Penang government about RM 160k per year per bus. At this price, we can add at least 100 feeder buses at peak hour in Klang Valley by spending RM20 million each year. Just for a reference, there are only 800 buses in Klang Valley in total, adding 100 buses means a 12.5% increase in capacity, giving significant change to the public transport scene in Klang Valley. I hope the newly established Selangor Public Transport Council as announced by YAB Menteri Besar will consider my suggestions and develop state public transport plan to allow the state to play an active role in improving the public transport system in Selangor. Beside public transport, investing in women economic empowerment will also generate economic multiplier effect as specifically mentioned in United Nation Millennium Development Goal Summit in 2010, of which member states agreed that “investing in women and girls has a multiplier effect on productivity, efficiency and sustained economic growth”. Having said that, I would like to point out here that investing in women economic empowerment is not about sewing, cooking and baking, it is about making women productive workforce who can contribute to economic development. In Malaysia, although female secondary and tertiary enrollment is 71% and 41%, which is higher than that of male at 66% and 32% respectively, women labour force participation rate stagnated at about 45% over the past decade whereas men increased from 79.5% to 84.3%. 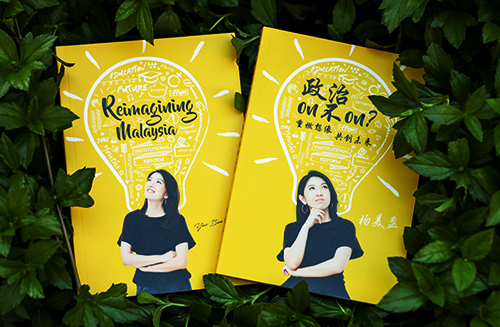 There is a serious gap between the level of education for Malaysian women and their contribution to the economy. Encouraging higher female participation in the economy will lead to a more competitive labour market and therefore a more competitive economy. This is especially true because Malaysian women are well educated. I hope that the RM30 million from the state reserve allocated to women empowerment in this budget can focus more on empowering women and increase female participation in the economy than in cooking, sewing and baking classes. I would like to specifically stress here the importance of workplace childcare. Childcare is the biggest barrier for women in the workplace because if you don’t have high quality affordable childcare, you are not going to leave your children to go to work. For all the countries that achieve good gender equality, workplace childcare is always an important element in their policy. The final point that I want to drive in this sitting is, as much as possibly can, rakyat monies should not be wasted on the inefficiencies of GLCs. Malaysia, rightly or wrongly, is the fifth highest state-owned enterprises presence in the world in a study done using the equally weighted average of shares of state-owned enterprises in sales, assets and market value of the country’s top ten firms to ensure compatibility. According to a McKinsey study, even in normal times, for example, the average return on assets at state enterprises in China was less than half that of the private sector. The same thing has shown in Selangor, for example, by comparing PKNS and PNSB both in the property sector with the private sectors or government-owned but not managed firms listed in Bursa Malaysia, we can see huge difference. PKNS and PNSB recorded return on asset of 0.0083 and 0.0027 compared to YTL Land 1.21, Mah Sing Group 6.97, SP Setia 4.16 and UEM Sunrise 6.92. The same goes to return on equity, where PKNS and PNSB recorded on ROE of 0.069 and 0.144 compared to YTL Land 2.61, Mah Sing Group 17.67, SP Setia 8.83 and UEM Sunrise 11.59. I understand that PKNS and PNSB need to do development projects for social objectives such as rumah mampu milik and probably the size of the asset of PKNS and PNSB are beyond the management capacity of the GLCs and therefore common profitability indicators cannot be used to compare the performance of GLCs with the private companies. I would like to suggest the state government to do some change of mechanism in terms of GLC transaction and accounting so that there’ll be meaningful comparison between GLCs and private companies through certain profitably indicators corrected for social objective. Performance comparison is important to instill financial discipline and operational efficiency of GLCs. Many GLCs in Malaysia including those in Selangor, are not performing well and some are making loses. One reason is that many such companies are shielded from competitive pressures, prone to heavy bureaucracy and often inefficient. In addition, state enterprises often juggle with multiple, unclear, or conflicting financial and social objectives. Since government is the biggest shareholder of these GLCs, inefficiencies, losses and low profitability of the GLCs will then transfer into loss in benefits to the rakyats. Therefore, I welcome the establishment of Jawatankuasa Penambahbaikan Pentadbiran, Agensi Negeri dan Syarikat Berkaitan Kerajaan (GLC) Negeri that will reduce bureaucracy and improve performance and efficiency in GLCs. However, one question still remains. Why is the government involved in business? There are 74 GLCs in Selangor. I would like to remind the government that while the government helps provide the conditions for prosperity and the creation of wealth, it's not their source. Companies in private hands are more competitive and have more incentive to innovate and contain costs. Having said that, I do understand that there is a need for government to be in business to correct for the ‘externalities’ of private activities, to protect the wealth of natural resources, to provide infrastructure and to ensure water or energy security. The problem with us now is that the our government is in all kinds of businesses and inefficiencies leads to loss of government money which can otherwise be spent for better use for more benefits to the people. There is an opportunity cost lost as a result of the losses and inefficiencies of GLCs. Thomas Jefferson, the third president of the United States once said, "My reading of history convinces me that most bad government results from too much government." Government should be at the size just enough for the best benefits of the people, and we should be refrained from activities that best leave to the private sectors. For us as a government, we should concentrate our resources to provide macro environment that can facilitate and encourage other private activities that are most efficient in economic and social development. With that, I would like to urge the government to embark on a GLCs reform initiative - a slim-down government business initiative. Study should be done so the government will only keep strategic ownership in businesses that are crucial to protect the benefits of the people and will reduce its stakes and sell some of the non-critical GLCs. To ensure that GLCs are as efficient as it can be, I propose that the state government to establish Competitive Neautrality Frameworks (CNFs) as supported by OECD Guidelines on Corporate Governance of State-Owned Enterprises (the “SOE Guidelines”). Introducing CNF is to create a legislative and administrative landscape in which GLCs operate, to be closely matched to those faced by private sector competitors. Competitive neutrality aims to promote efficient competition by minimising competitive advantages government business activities may enjoy over their private sector competitors simply because they are government owned. 1. To focus on targeted subsidies or progressive subsidies for future state social programs to ensure effective transfer of wealth from the top of the pyramid to the bottom of the pyramid with limited resources. 2. To draw a comprehensive plan with specific state allocation to systemically uplift the 1.3 million of urban poor in Selangor from poverty. 3. To coordinate all the Merakyatkan Ekonomi Selangor (MES) programs and put them under one umbrella so we can improve coordination and efficiencies as well as to minimize the operational cost of the state programs. 4. To embark on public transport improvement projects - increase the number of busses in Klang valley significantly by spending RM20 million per year and provide infrastructure that is public transport friendly. 5. To invest in women empowerment and increase female participation in the economy. 7. To embark on GLC reform initiative - the government keeps only strategic ownership in businesses and focuses on providing macro environment to facilitate private activities that are most efficient in economic and social development.